I tweeted that Linux’s new code of conduct would be abused to witch hunt devs. Right on cue, 3 or 5 devs tried to use my opposition of the code of conduct to try to accuse me of violating it. All the while using behavior that was against the code of conduct. You can add one @ZDNet reporter to the list of witch hunters. Came after me just today. I dunno man, I think having codes of conduct to allow mediocre programmers to police good programmers is precisely the way to move the industry into the direction of a giant bureaucracy. What could go wrong with that? I've been called out for "aggressive behavior" because I stated that I had already evaluated a suggested implementation & decided it was the wrong way to go (different project). They were putting me in my place for daring to disagree. Last patch they got from me. Yeah, there's a lot Vox Day says that I don't like, but I think his analysis of codes of conduct is spot on. "...the Code of Conduct is working as designed when it chases off the productive members of the project"
Not only are SJWs unable to properly define their standards to any satisfaction, they actively seek out and undermine those who can. In their quest for justice (or whatever they tell themselves), they actively work to undermine the foundations in which justice and fairness can flourish. Subconsciously, they pick easy targets because they are mortally terrified of actually confronting the world's real evils. It is what is it is. Linus was never born to be the Irreplaceable Man. It's seeming like the basic purpose of codes of conduct is to make the mediocre feel superior. Linux is not Eunuchs, but is now gelded. Codes of Conduct are supposed to work like felony penal codes. The same problem occurs with both. Not sure what the remedy is beyond constant splitting or constantly burning the bureaucrats. @2 the ambuigity is a feature, not a bug. With such they can accuse anyone and burn them if they don't admit and repent. Having clear standards might mean they would actually have to define things. > Having clear standards might mean they would actually have to define things. Even clear standards in clear unambiguous English won't be enough. They'll just claim a new meaning for the words. Our speech is now violence while their violence is now speech. Robert What? wrote:It's seeming like the basic purpose of codes of conduct is to make the mediocre feel superior. Not seeming. This is the real purpose. Codes of conduct, and the entire SJW rhetoric, are tools to be used by narcissistic losers to put down actual achievers. Hmm, one thing that might work is for the code of conduct to allow disputes to be settled by dueling. So is Linus even coming back at this point? I find myself half-hoping he doesn't, it would enrage the core Linux users to no end. "Not only are SJWs unable to properly define their standards to any satisfaction"
That's by design. It can be applied as inconsistently as they see fit. > So is Linus even coming back at this point? That's a good question. He'll probably try. And he'll probably lose his temper with someone in the first month and tell them off. And then he'll probably call it quits. Curseforge doesn't have a code of Conduct. That's why There are still lots of amazing Minecraft mods. That's why the FTB community, which DOES have a CoC, manages to survive... Because they are locked, Lampreylike, to a much healthier animal. It seems they based the CoC on the work of Coraline Ada Ehmke. Who set up yet another CoC infiltrator project today. People will see now what Linus was having to deal with all the time, and poorly things could go but he was there to smack it back. That's not much, but that's the best I can think of to say. Out with Linus Torvalds, in with Coraline Ada Ehmke. It boggles the mind. Why do you capitalize this abomination ? On a somewhat positive note, at least we can dismiss the facade/weapon the SJWs have utilized: being about tolerance and inclusion. One doesn't even have to reply to such a statement. The onus would be reversed back onto them to prove that they aren't. Just point to recent congressional testimony by BigSoc and the damning private conversations/videos showing the opposite. It will soon be against the law to critize the law or change it. It already is in many states. The Soviet system IS the perfect system and always was. 'Inclusion' is how a parasite enters a desirable system and disables its defenses. 'Tolerance' is what gives it the time to destroy the host permanently. Pierre Truc wrote:Why do you capitalize this abomination ? Habit, I guess. But you are right. I denounce myself! "No one shall wield Linux again but me!" How apropos transgender 'Coraline' is employed at 'stitch fix.' Snip snip. It's a silly disclaimer anyway. Anything along the "I don't agree with everything X says" line is annoying. Any human, including yourself 5 years ago can be X and the statement would be true. The "not liking" variation is quite funny because I could be told that I and everyone that I love will die some day, I won't like it but it'll be true. I admit, I use way more disclaimers than I'd like to myself. It's just easier to be proactive. If I write two sentences now, I won't have to try to convince someone that he took what I said the wrong way. "I'm not a Nazi like Vox Day, but when confronted with his actual words and not malicious paraphrases, I usually have to concede he's right." Even clear standards in clear unambiguous English won't be enough. Q: I'm concerned about section #5a in the CoC. It seems like it could be unfairly slanted against certain groups. They happily break their own rules while championing them, because they know it's all who/whom and they won't be held to them. The language doesn't matter, what matters is who is in charge. I remember old communities where the only rule was, "Don't be a jerk." That's all you need when sensible people are running things. Put an SJW in charge, and pretty soon all the men and pretty women have been declared jerks and kicked out. When I was going to tech conferences in Toronto I openly laughed and mocked and refused to sign before enteting. Nobody ever put me in my place because thst is how weak and gamma Toronto is. Still, I stopped going because these "people" are piles of dog crap. Best to just stay away. Now is the time for all good men to create transgender sock puppet accounts and submit patches to the Linux kernel in C++. Productive and successful people are rule breakers. The net effect of their rule breaking ultimately benefits the organization, but the self appointed rule monitors will attack the successful for their negatives only. They'll never buy it. Trannies all use Ruby. Our speech is now violence while their violence is now speech. Your words were very hurtful to me, which is why I had no choice but to swing a bike lock at your head. "Sure, my patch may be a sloppy, unreadable, error-prone mess of an implementation of an idea that was rejected years ago, but you don't have to be such a big meanie about it! So what if millions of people and corporations are depending on the stability of this feature - I'm a proud lesbian whamen of color!" I sense a financial opportunity here. All non-trivial abstractions are leaky (Joel Spolsky), and codes of conduct make them leakier. That puts a premium on knowing what lies beneath, down to registers and opcodes in some cases. The people who possess this deep knowledge are 99% white and Asian males. So women and minorities get the prestigious titles, tedious busywork, and office politics, while we get $200/hour to come in and solve hard problems fast. I am curious whether the Linux community, which prides itself on autonomy and functionality, will rebel at any point against the (frankly toothless) CoC. Its power is quite literally limited to whether the community supports it, tacitly or explicitly, and it can be defanged by steadfastly refusing to accept it. My gut says they'll do nothing to oppose the enemy that wants them destroyed. Damelon Brinn wrote:They'll never buy it. Trannies all use Ruby. What's the best way to monetize the SJWs in this case? The new low standard for this is referring to the UN definition of "racism" and claiming this appeal to authority is definitive. Already been subjected to it twice today on Twitter. Also some sadsack is moaning that "the whole industry has denounced #Comicsgate so we should start using some other hashtag". No matter how many times some people get punched in the face, they never learn anything. It's a list of rules telling you that you have to coddle people's whimsy feelings, even when it results in not getting the job done. Unsurprisingly it results in no jobs being done, and then just no jobs. "Not sure what the remedy is beyond constant splitting or constantly burning the bureaucrats." Strict top-down hierarchical control. If someone doesn't like it, their head not only deserves to, but also must be shattered by the iron rod of absolute authority with a mind toward doing their f***ing job, period. Anyone who says those words unironically should just be taken out into the woods and shot. "What's the best way to monetize the SJWs in this case?" It's not really a case by case basis. The answer is always "whipping boy", and if that doesn't fix them fast enough, you can make spam out of pretty much anything you want. > I am curious whether the Linux community, which prides itself on autonomy and functionality, will rebel at any point against the (frankly toothless) CoC. If by rebel you mean simply leave and stop working on the Linux kernel, yes. Otherwise, probably not. These people are worth their weight in gold to the right companies. They have plenty of job options. Well, except for the minor fact that the Sword in the Stone wasn't Excalibur. Excalibur came from the Lady of the Lake. 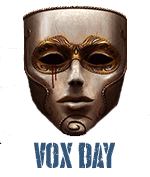 "there's a lot Vox Day says that I don't like"
VD, you KNOW whats comimg after those wprds. I myself have lost count on the number of times I have read it here. "So women and minorities get the prestigious titles, tedious busywork, and office politics, while we get $200/hour to come in and solve hard problems fast." We think it should work this way, but there's evidence that it doesn't. A friend of mine has been fighting this for going on two decades in a converged STEM industry. He owns his own company that does contract work for at least two of the major hitters in that field - names you'd recognize. I've sub-contracted for him enough times to have seen his horror stories first hand. (1) Diversity hire gets the original project at let's say $65 / hr. (2) Project is totally FUBAR'd and mid/upper management can't figure out what's wrong or why. Deadlines are looming or past. (3) Project turned over to my buddy's company "to fix." Only since they've already shot the budget to the original guy, they can only scrape together something like $15 / hr...but they NEED and will he do it, wink, wink, wink. (4) Being in a rapidly declining segment, he has often taken the work if he was available to do so even at very low rates. (5) When asked, "Why don't you just hire me to do it at first?" the project managers say something like "The other guy is very good, and we wanted his name on this project." It's pretty nuts. Having witnessed this play out in this and related industries since for decades but never having concise language to describe it, a huge light went on for me when I read SJWAL; convergence made sense the instant I read the definition. Granted the industry segment described above is not as low level as kernel development, but rot is rot. The problem is that the people running converged projects just don't see the difference between a competent person that gets the job done and one that can't get the job done no matter what other "qualities" they might have. Posted a link to the Ars Technica article from the thread yesterday at work (a link to here would do no good in NeverTrumpland). A coworker said "Linus is my hero. ", then immediately moved on to say how maybe it was for the best... Not surprising we have very little we agree upon outside of work. @47, Excellent description of how it works. Also, the guy who comes to you to bail them out is usually not the boss who made the original decision to go cheap/diversity. He'll be a lower-level guy who knew better in the first place but was overruled from above, so it's easy to feel sorry for him and try to help him out with his depleted budget. You have to steel yourself and punish them (they'll find the money if it's as important as they say), but that's easier said than done if you need work. Counter these things. Ask a prospect if they are on projects with a code of conduct. Ask if they like the things. Ask them if they will sign one as a condition of coming on board. If they say "yes" then throw away their resume and move on. Coraline Ada is publicly calling for violence against a journalist on Twitter. A website linked on her Twitter profile mentions that she is a core contributor to the Contributor Covenant. Is this what the other maintainers want to be reflected in the project? Will any pacifist developers feel comfortable contributing? In addition, I am officially calling on Coraline Ada to retract and apologize for intimidating behavior and donate to a civil liberties charity of my choice. Saw a solicitation in LibreOffice today for people to get involved (never seen this before). Looked to see if they have a CoC; they do, and it must be recent because the undated announcement says "TDF is adopting a Code of Conduct in time for the LibreOffice conference in Tirana" (the conference starts 2018-09-25). Makes me wonder if they're expecting to, or already have, driven out some contributors. Makes me wonder if they're expecting to, or already have, driven out some contributors." Living in the States, I had no idea Albania was a destination for conferences. Last I recall is the government collapsing when a ponzi scheme was exposed. Guess they hadn't learned to hide them as well as the USA does. @47 sounds like a second technical entry point. So not only change the process and methods to hide or average out the diversity problems, but then hire diverse contractors, and then finally hire competent ones when everything fails. CONvergence to CONtracting. It's possible something deeper is happening in Linux, especially with the Crappy Coraline Conduct Code. Linus has been harrangued for the last decade, and he may be tired of it, then he may return after things blow up (think Steve Jobs who was fired, then did Next, then was brought back). I don't know this to be true but think it is possible. "When asked, "Why don't you just hire me to do it at first?" the project managers say something like "The other guy is very good, and we wanted his name on this project."" The only way to eliminate employers who will hire diversity for higher pay to do nothing is to punish them for it. Refuse to work for any company who's not going to pay you more to fix the problems their hires created than they paid the hires to make them. It'd be one thing if they were paying you at least the same amount, but when they try to contract you for less -- and you accept it -- you are literally the one funding your own abuse. Or to make the above more clear, you are allowing yourself to be enslaved by abusive masters. If you don't want to be abused you need to punch back -- by simply standing back and watching them go down in flames. > Linus has been harrangued for the last decade, and he may be tired of it, then he may return after things blow up (think Steve Jobs who was fired, then did Next, then was brought back). I don't know this to be true but think it is possible. Distinctly possible, but we can't count on it. It's also possible all the major contributors will simply quit and recruit Linus to fork the kernel under his leadership. If the guy who FUBAR'ed everything due to incompetence is worth $65/hour, then you, the guy who is coming in to clean up the MESS, and get it done in LESS TIME is worth at least $90/hour. And you state it in EXACTLY those terms, because they can't fight THAT logic. If they complain "we can't afford that!" your reply is "you had the money to pay some idiot $65/hour for how many months??" " If you don't want to be abused you need to punch back -- by simply standing back and watching them go down in flames." The truly remarkable thing for me to witness was how the managers ultimately didn't care about the quality of their own products. This is the endpoint of convergence that I think a lot of not-yet-redpilled people still don't get. In the case of this latest Linux kernel fiasco, there will be a certain subset of the core kernel devs that defend the CoC (for a while) believing it to be at least harmless if not fully helpful. "If the guy who FUBAR'ed everything due to incompetence is worth $65/hour, then you, the guy who is coming in to clean up the MESS, and get it done in LESS TIME is worth at least $90/hour." You and I would think so, but that was not their SJW reality. They moved the goalpost on various arguments over the years. In the end, the ONLY solution that worked was to step away and let them burn down not only those projects, but also the reputations of the companies involved. "And you state it in EXACTLY those terms, because they can't fight THAT logic." Since when does logic work on SJW's? They didn't care. They did "fight" it, in their own way. Inline with the definition of convergence, they cared FAR more about stroking the diversity hire's reputation and ego than the product. "If they complain "we can't afford that!" your reply is "you had the money to pay some idiot $65/hour for how many months??"" Yes; that argument was made, explicitly, numerous times over the span of years that this was going on and was gradually getting worse. It did not matter. They simply did not care. It never once stopped them from giving the project's budget to a moron then claiming some Appeal to The Good In You to try to get a bailout from someone that could do the work. It was not the same moron for each project, so they could claim in hindsight the issue was just that one guy did a poor job. No matter how hard the arguments were made or how far up the Corporate Ladder (to very near board level) that they could save money long term by hiring a competent developer initially, the result was always the same: next project went to a moron, and the dude that bailed them out (for a while) was passed over - even if he bid something close to what they paid the moron anyway! Caroline Ada is a self-described "Notorious Social Justice Warrior" who promotes inclusion blah blah blah. That name sent alarm bells off for me and then her photo told me I was right. Oh... and who got it involuntarily committed to the mental ward? But don't worry, it won't survive the coming civil war, no matter how much it cries and whines. The thing about these various SJW termites is they never stop. Even when thwarted here or there, they pop up like a bad penny somewhere else. I'm disappointed that Corey Dale "Coraline" Ehmke doesn't have his own Encyclopaedia Dramatica page. Maybe someday, if he keeps working at it. I suppose we could rectify that. 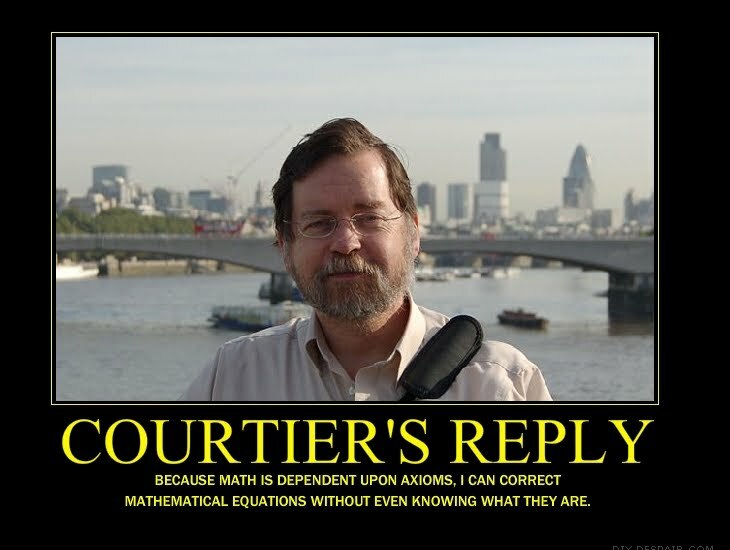 @24 InformationMerchant: "I admit, I use way more disclaimers than I'd like to myself. It's just easier to be proactive. If I write two sentences now, I won't have to try to convince someone that he took what I said the wrong way." This. I have occasionally used just such a disclaimer over at Steve Sailer's site - not because I have a grudge against Vox (he can be as curt or abrasive as he chooses to be on his own blog, and if I happen to disagree I just don't comment - I am a guest after all - and move on) but because so many online (particularly among the heavily boomer/right liberal/civic nationalist core of Sailer's readers) are so damned literal/spergy. Finding something someone says useful and recommending it to others does not imply agreement across the board, adoration of said individual's personality, or slavish devotion in any sense. Which, of course, should go without saying but which today must be said anyhow. Isn't that a dude? Yeah that's definitely an ex-male non-female. @17 Justin is likely busy with another recurring problem involving a Syrian right about now: Maher Arar, who was an FBI counter-intelligence asset that the RCMP and CSIS really really really doesn't want the Canadian public to know about. @46: as long as your friend is willing to come in and fix things for $15/hr, that's what they'll have him do. While it's a dysfunctional business model, it works for them. It will change only when your friend, and others like him, decline to work for $15/hr. > It will change only when your friend, and others like him, decline to work for $15/hr. Or when it takes four times as long to fix the problem. Strange how that works. No may be about it. That's it's whole purpose. Kyle's modification of Lerna's license was originally assented to by other lead developers on the project, but the decision polarized the open-source community. Some applauded his principled stand against ICE's human rights violations, while others condemned his violation of the spirit of open-source software. Eric Raymond, the founder of the Open Source Initiative and one of the authors of the standard-bearing Open Source Definition, said Kyle's decision violated the fifth clause of the definition, which prohibits discrimination against people or groups. "Lerna has defected from the open-source community and should be shunned by anyone who values the health of that community," Raymond wrote in a blog post on his website. Eric Raymond had called the decision "destructive of one of the deep norms that keeps the open source community functional -- keeping politics separated from our work."